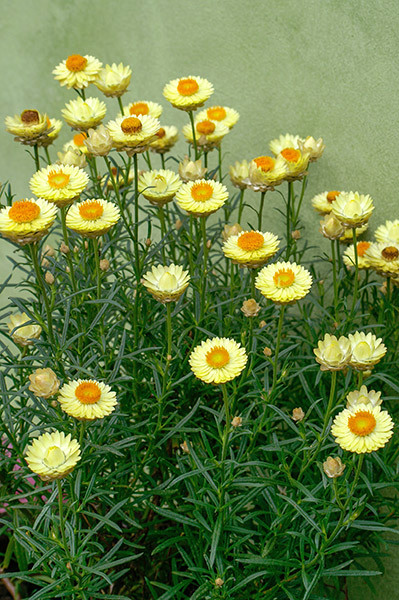 Long flowering native plant more commonly known as an ‘everlasting daisy’. 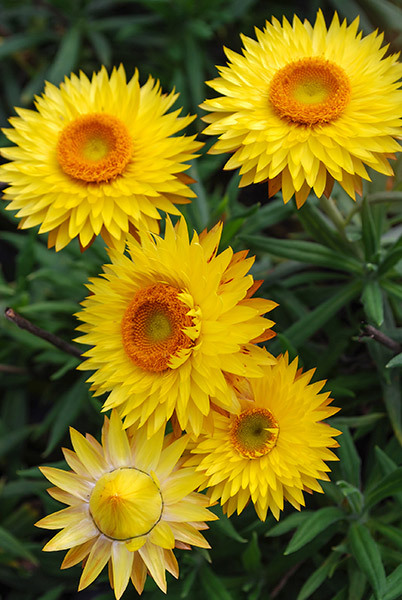 Produces very long displaying, golden yellow flowers from spring through to autumn. Low water user. Once established, quite dry tolerant requiring only occasional long soak during extended periods of heat. Low maintenance and easy to grow. Prune after flowering to encourage bushy growth and ensure a long flowering season. Feed in spring with a slow release fertiliser according to manufacturers directions. Great for bright colour around entertainment areas. Grows well in containers. Suitable for native gardens. Ideal for small spaces and produces fast results for new gardens. Lasts extremely well cut for floral arrangements and flowers can be dried for crafts.